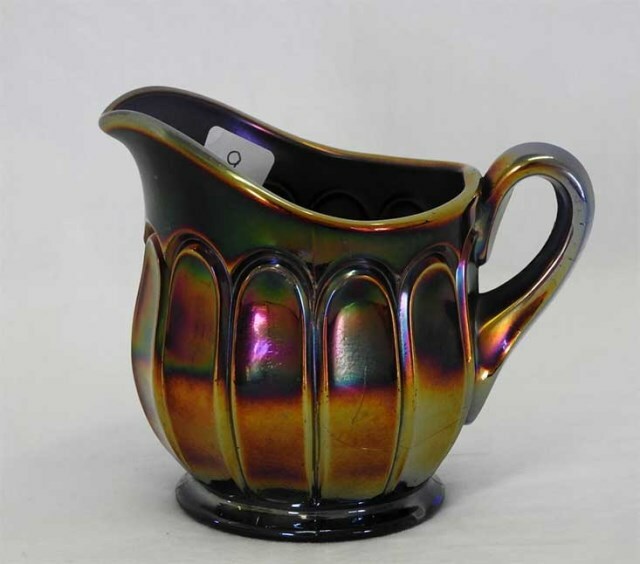 Northwood's Double Loop is sometimes referred to as Colonial. 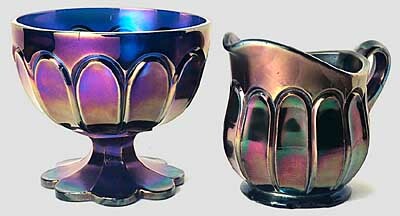 Shown are an open sugar (sometimes called a chalice), and a creamer. 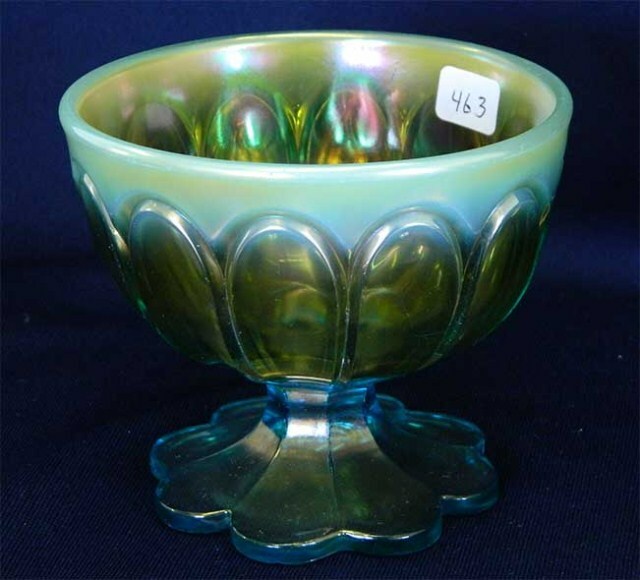 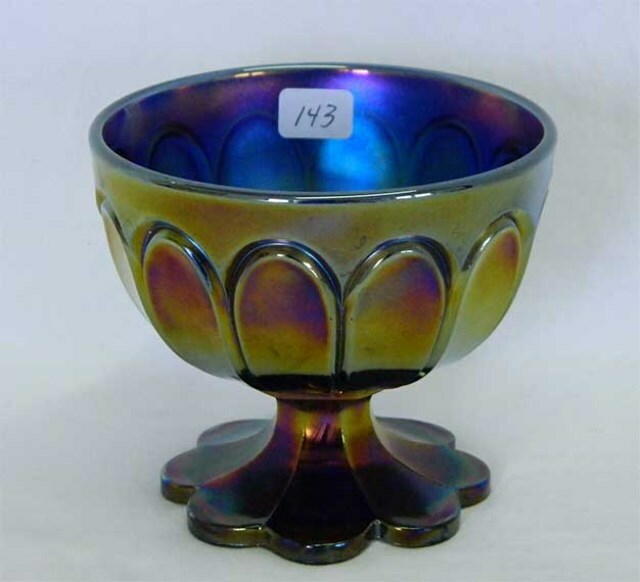 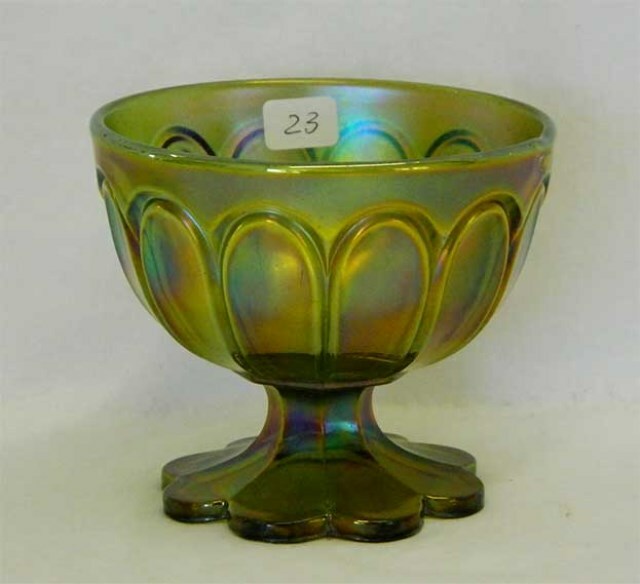 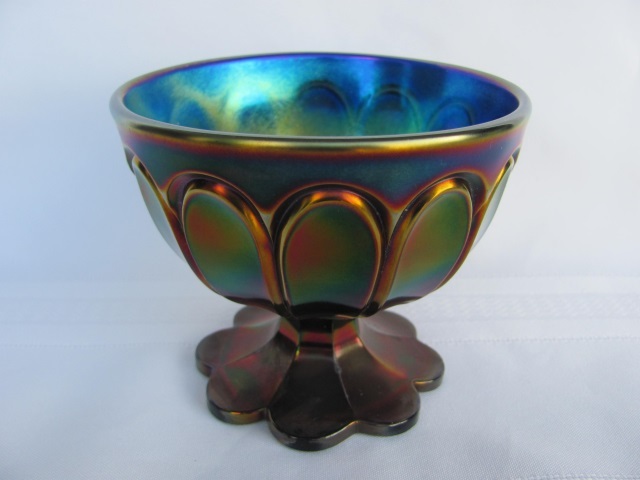 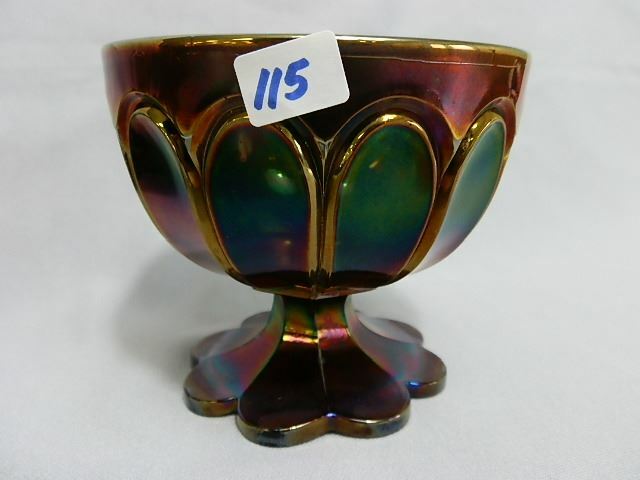 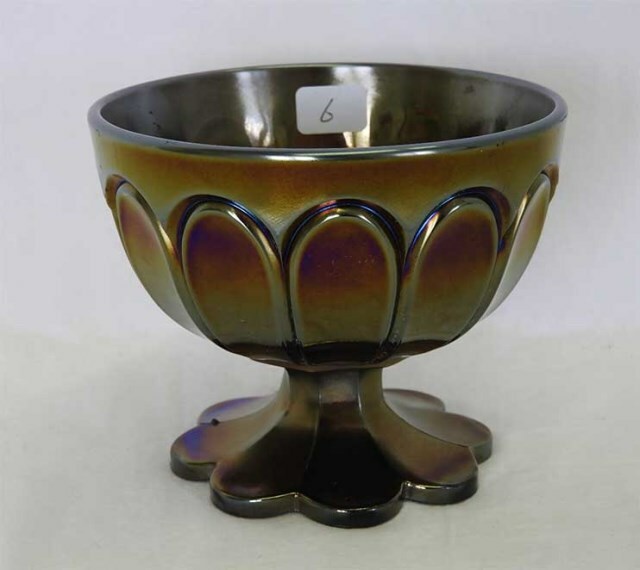 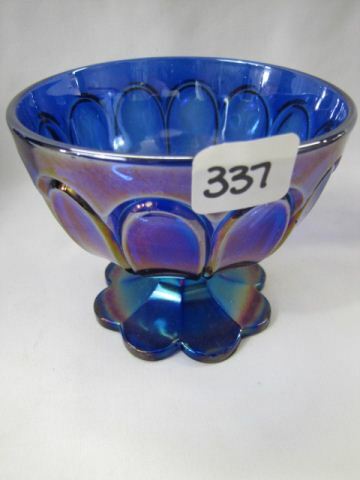 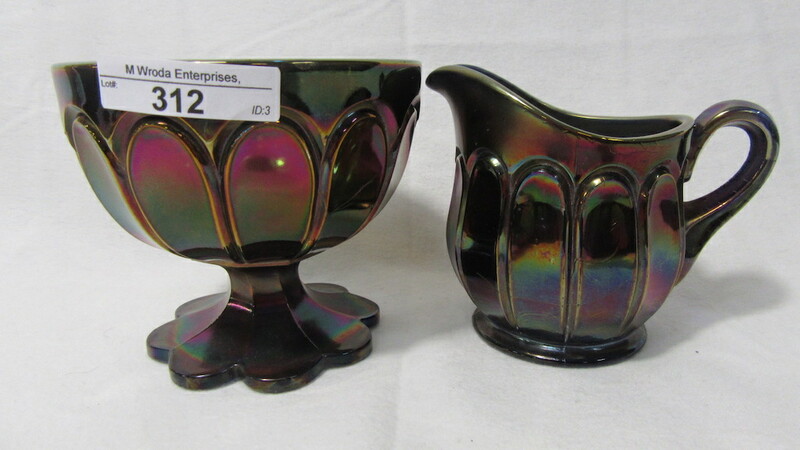 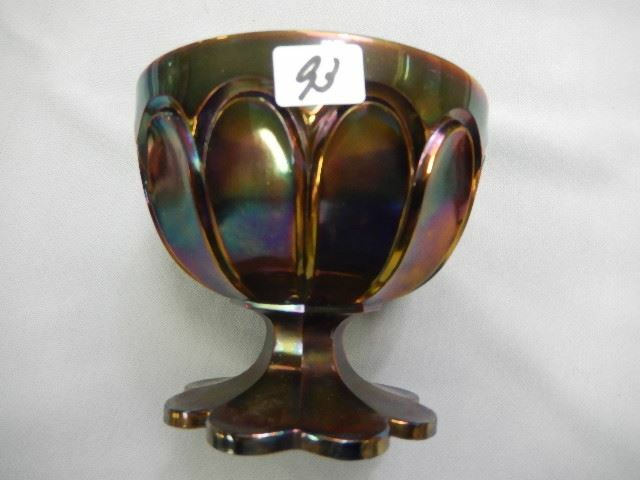 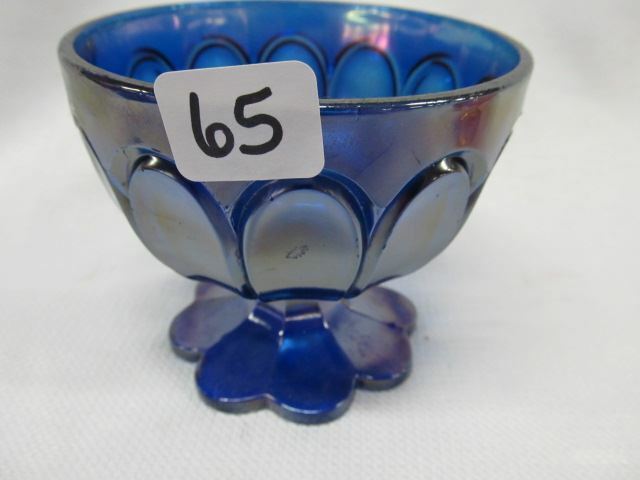 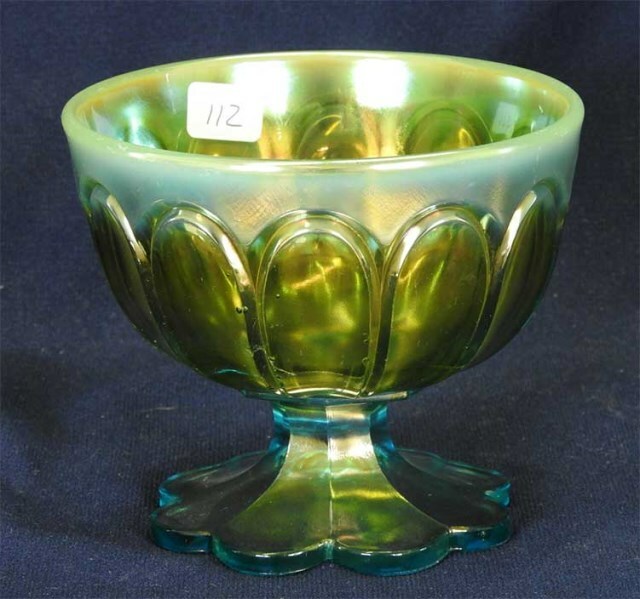 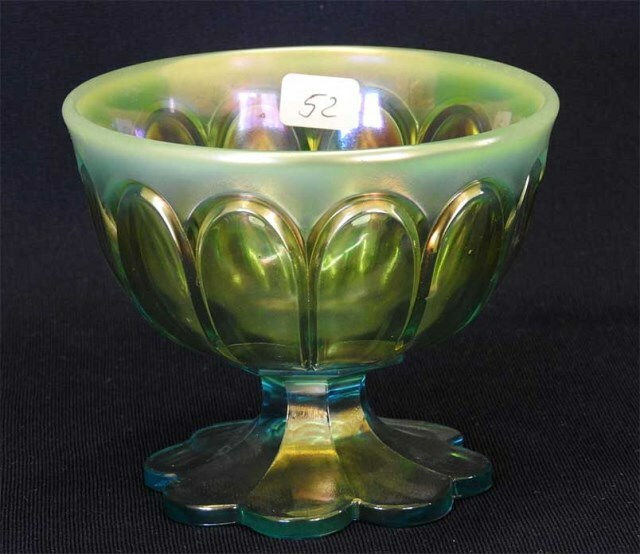 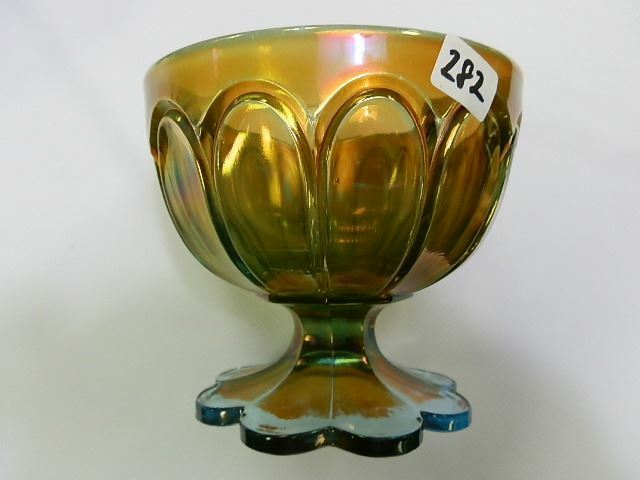 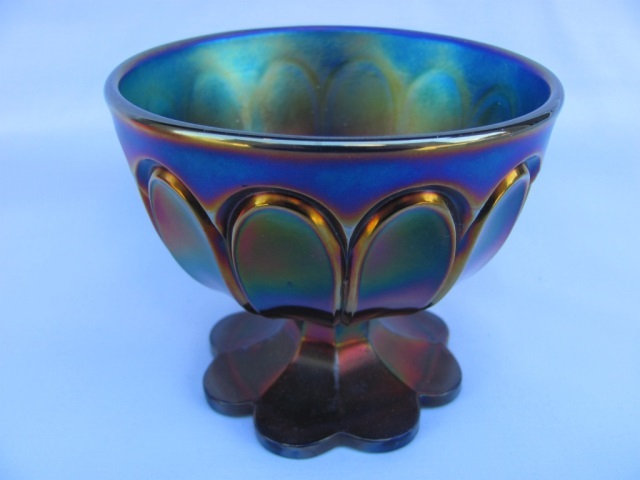 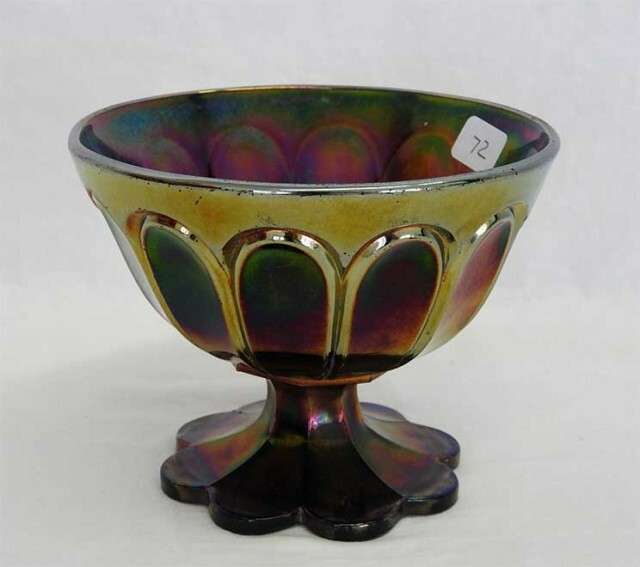 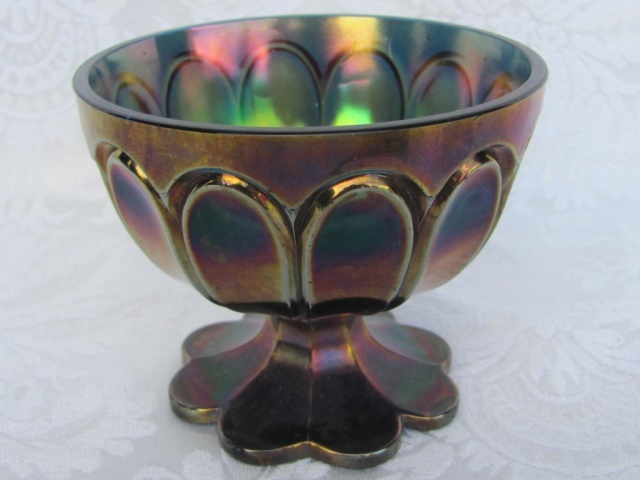 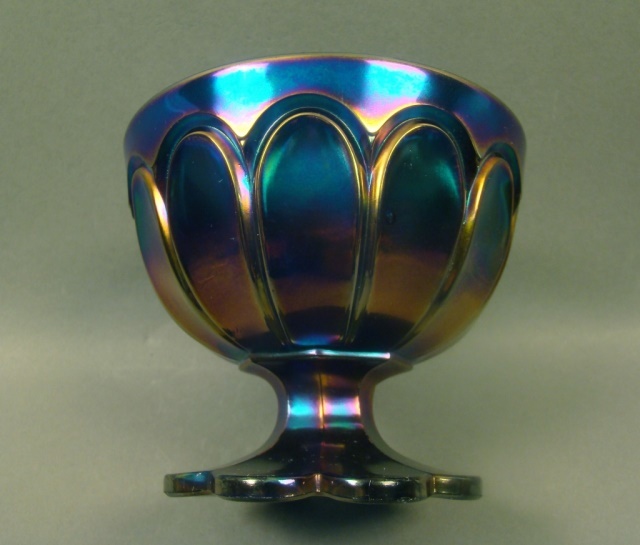 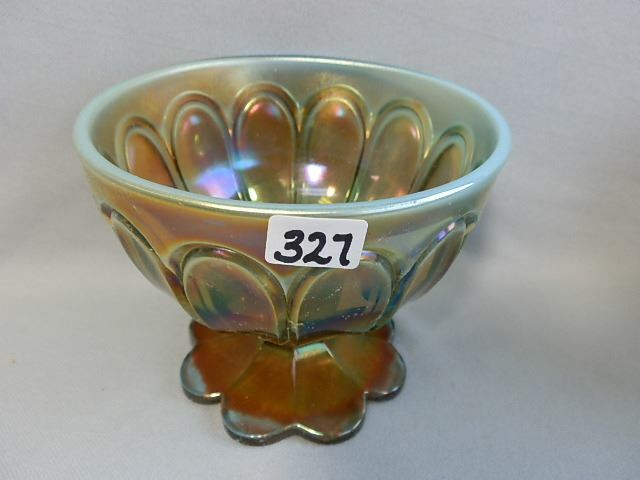 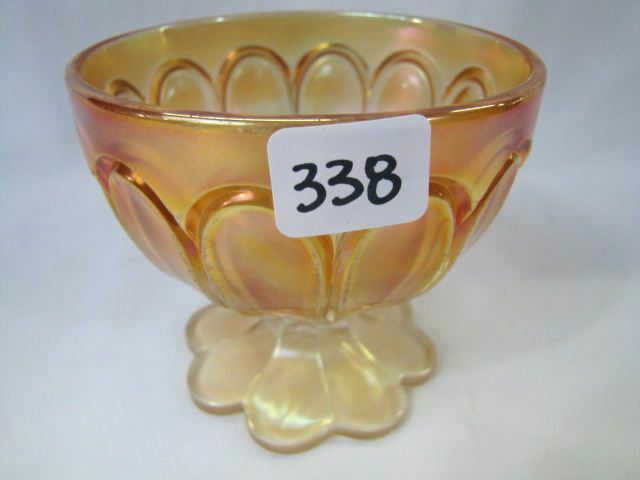 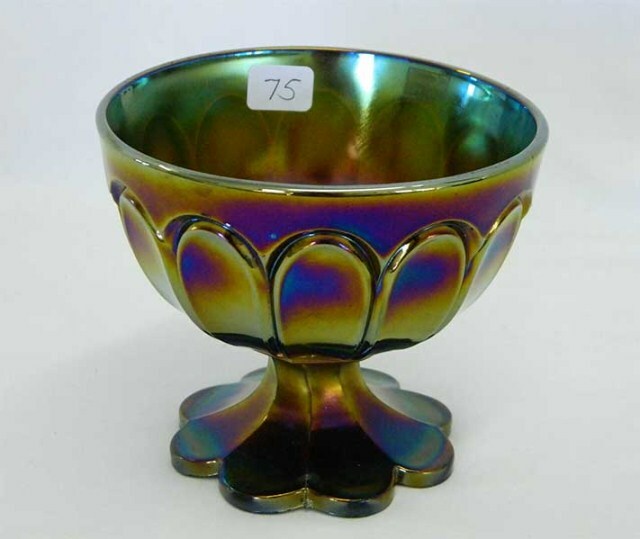 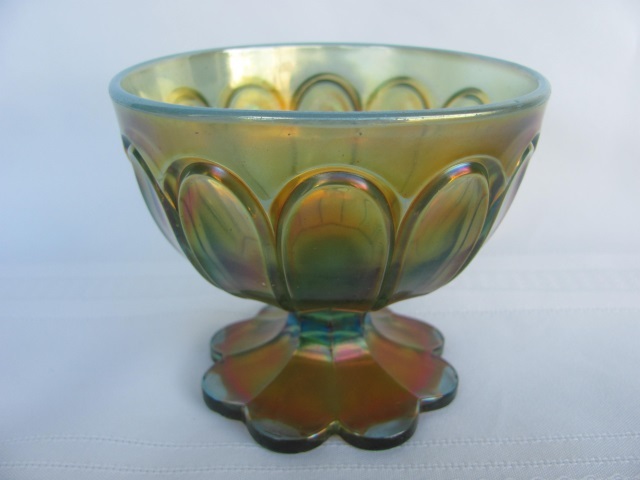 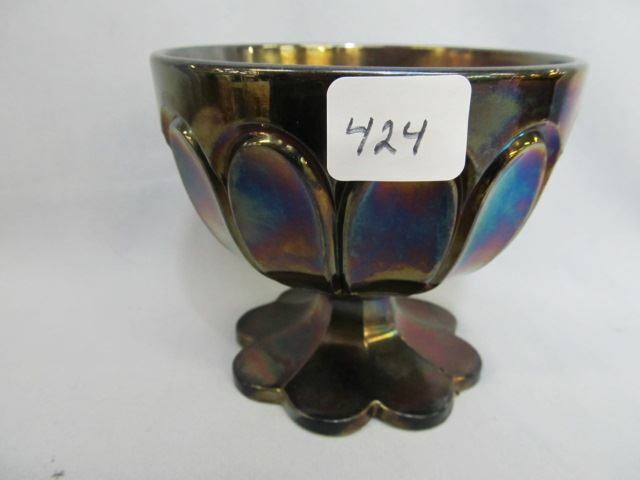 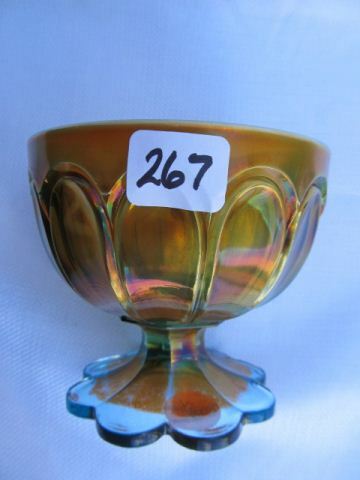 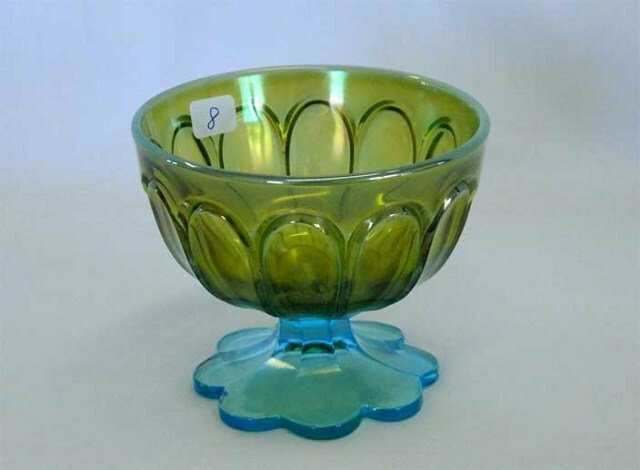 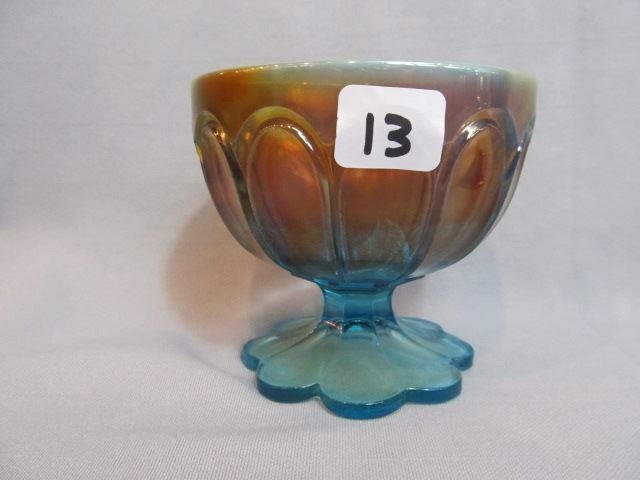 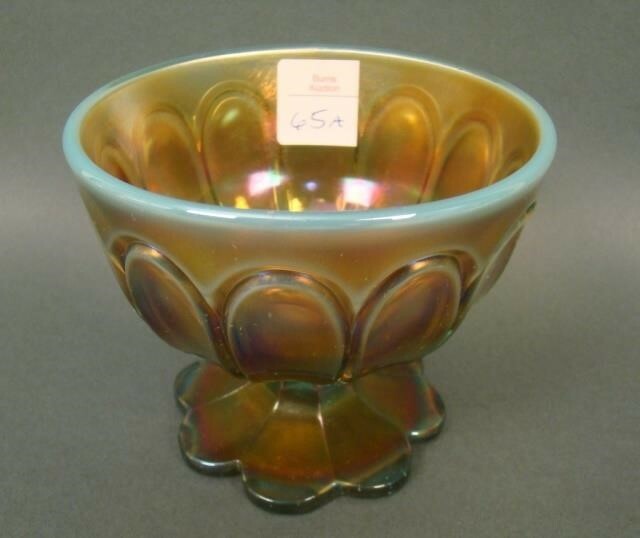 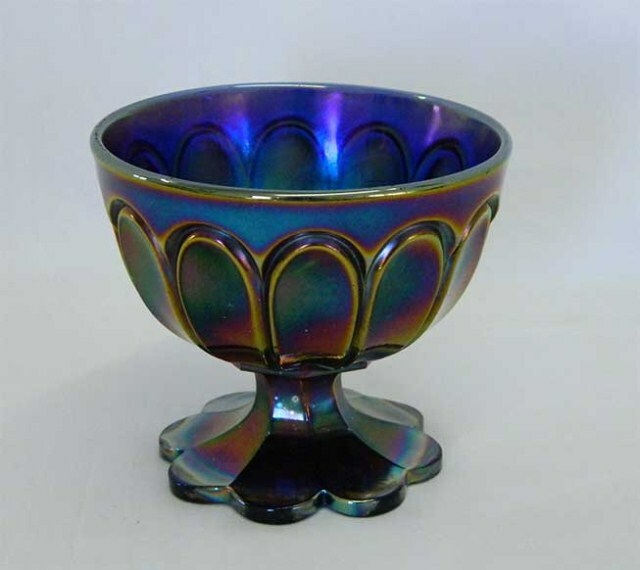 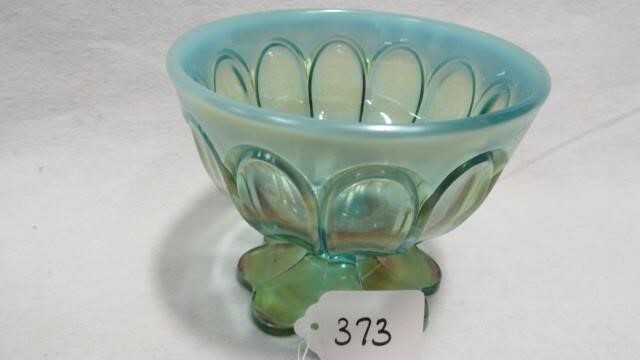 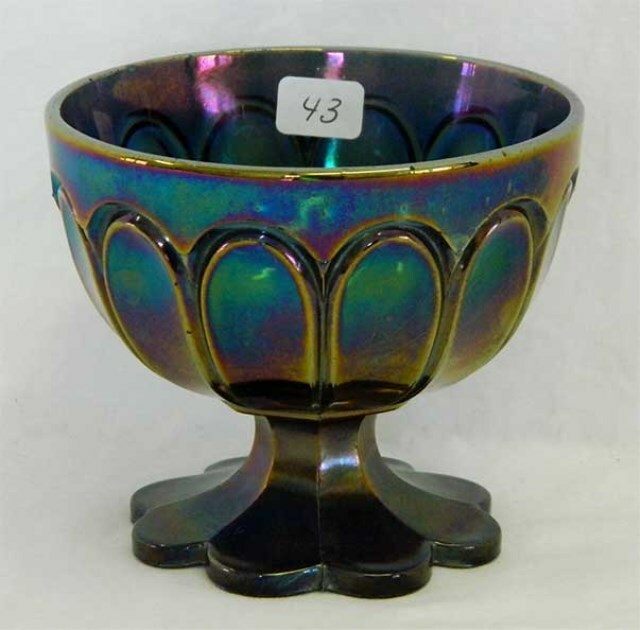 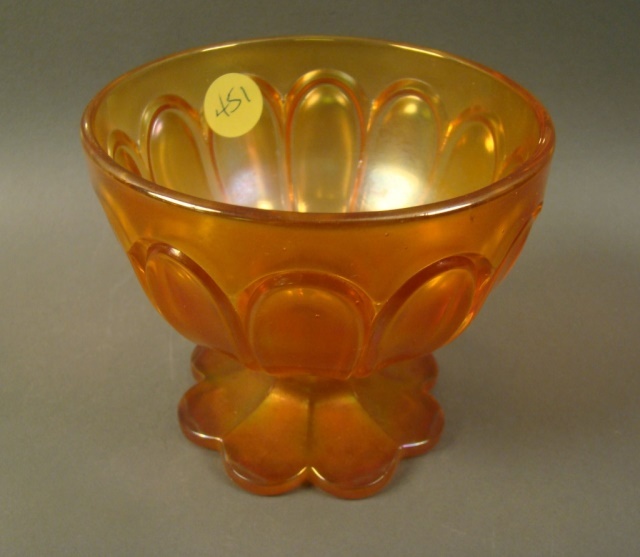 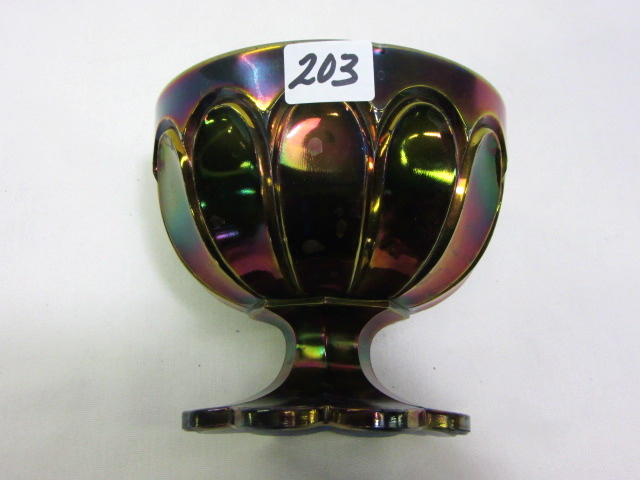 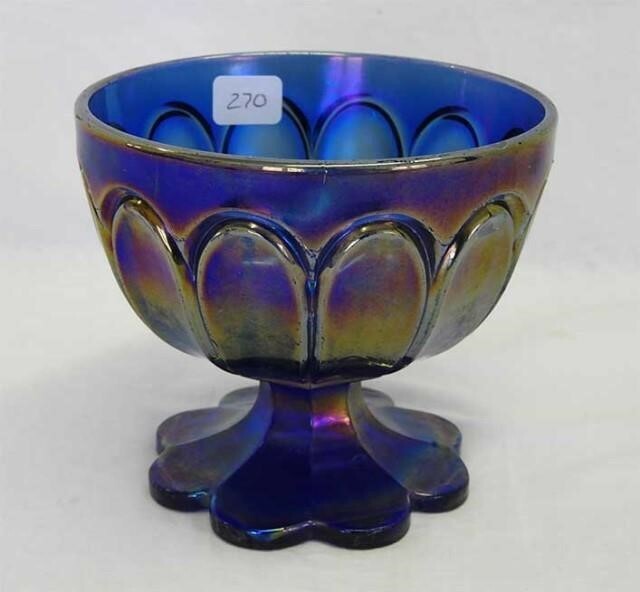 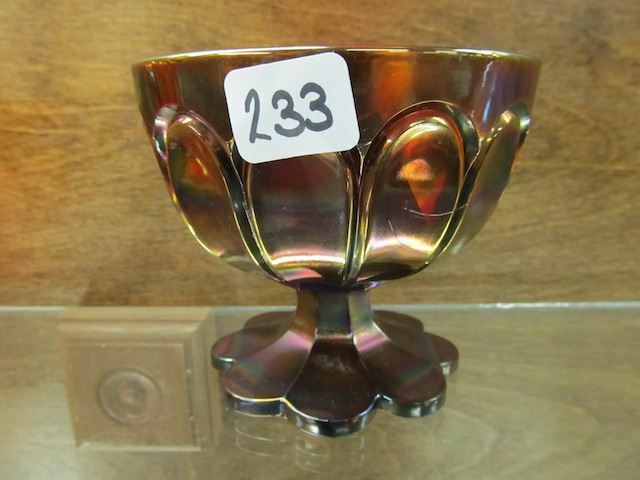 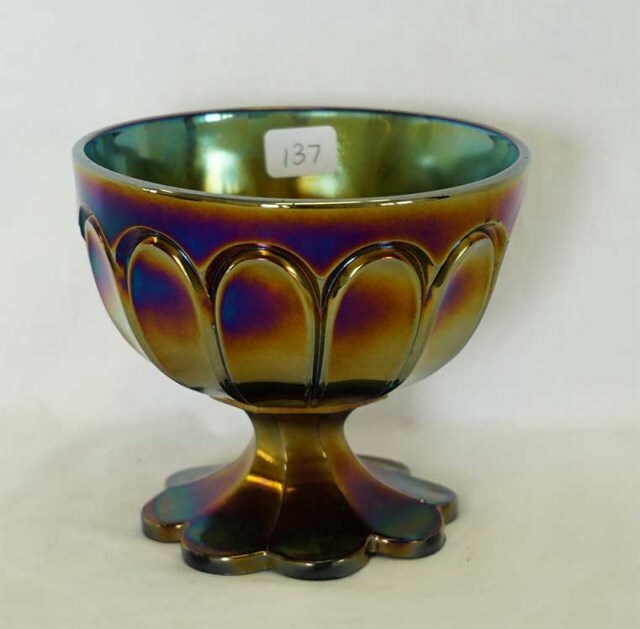 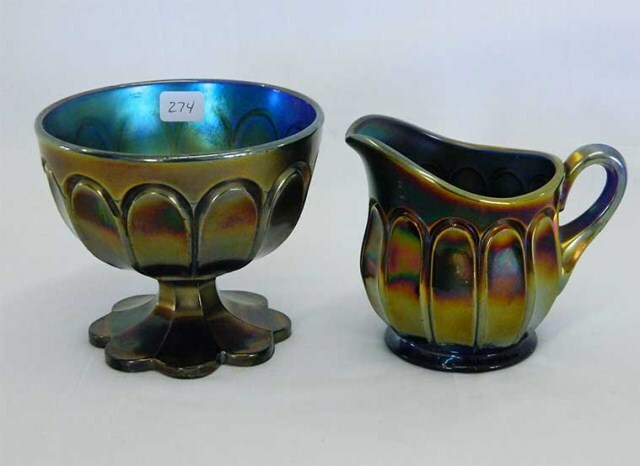 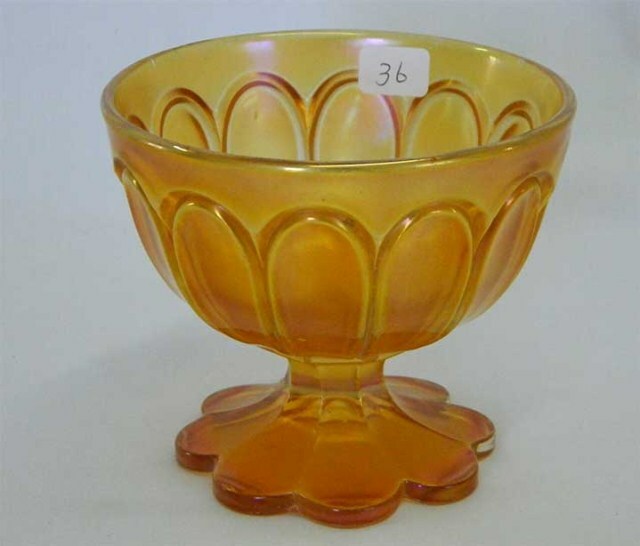 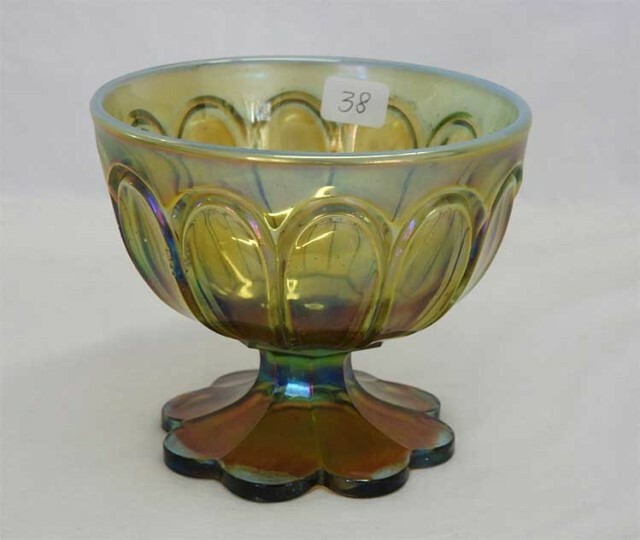 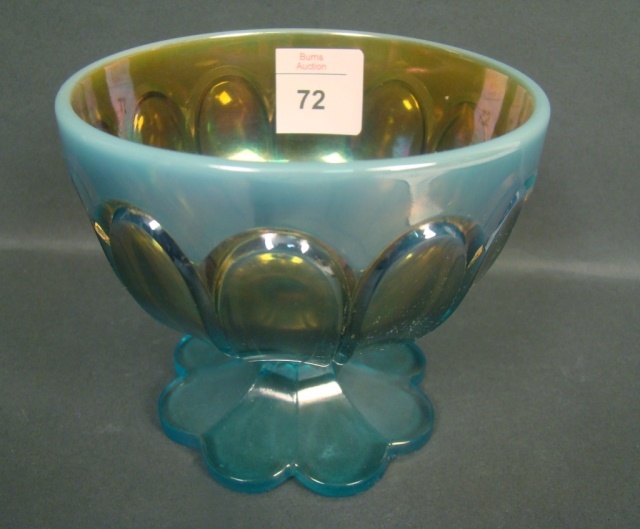 Sugar bowls are known in aqua opal, blue, green, purple and marigold and creamers are rare and found only in blue.